Application Virtualization is a software which is isolated from the underneath the operating system increasing portability, manageability and compatibility. In Application Virtualization the software is actually not installed in true sense, they can be run as if it are installed. Application Virtualization is distinguished from virtual machine from the basic fact that, in the later the entire operating system runs under a virtual environment, including individual applications. 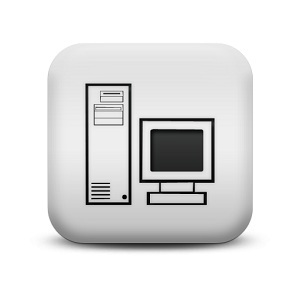 A related technology to Application Virtualization is Virtual Desktop Infrastructure. For Application Virtualization, a virtualization layer is needed. This Virtualization layer is strongly related to Application Virtualization which is set up by specific extension of files related to the Operating System. For Windows Operating System; Citrix XenApp , Novell ZENworks Application Virtualization and VMware ThinApp deploy the technology of Microsoft Windows in this way. The major advantage of Application Virtualization is that, fewer resources are needed than from a separate virtual machine. The other major point is, the software is actually fully isolated from the Operating System, this allows to test run any program on serious setup without taking the risk. Running incompatible applications for the particular Operating system is also possible by using this method. Unfortunately, although Application Virtualization quite appealing, it does have many negative points including resource hog applications are not capable to run on this setup, limited applications actually supports natively, particularly when the host operating system is Windows. This Article Has Been Shared 6353 Times! Cite this article as: Abhishek Ghosh, "Application Virtualization : Basics," in The Customize Windows, July 17, 2012, April 24, 2019, https://thecustomizewindows.com/2012/07/application-virtualization-basics/.